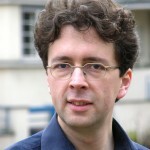 A scroll is the most commonly used traditional shape that artistically crowns the peg box of a violin or other string instruments in the violin family. 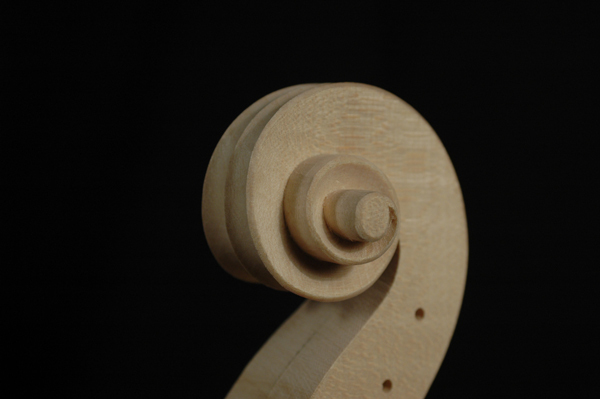 The term volute adapted from art history indicates that the scroll is not merely a special flourish found in violin making, it is an ornamentation with similar forms found in architecture, sculpture and many other arts and trades, especially during the Baroque period. The scroll is more or less irrelevant when it comes to the sound of the instrument. 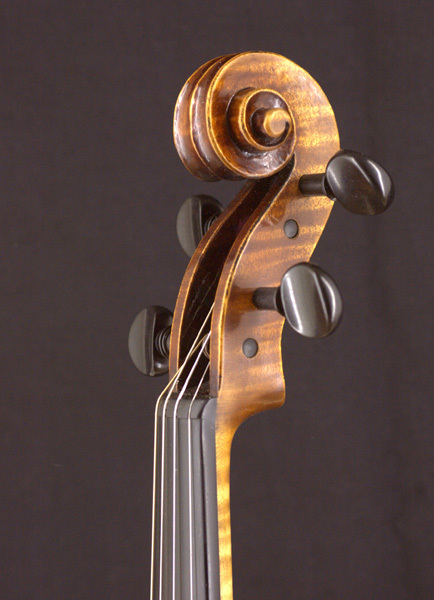 At the same time, however, it is considered the most beautiful incidental detail on a violin, and as such, it gives luthiers an opportunity to express their individual artisanry and demonstrate their craftsman skill. In other words, the scroll serves as a calling card of sorts, and as such it can be used to identify many master instruments. Interesting characteristics include the depth to which the spiral is carved, the lines of its edges and the geometry of the volutes. The number of turns plays a part as well: for example, the eye-catching Maggini model features an additional turn. 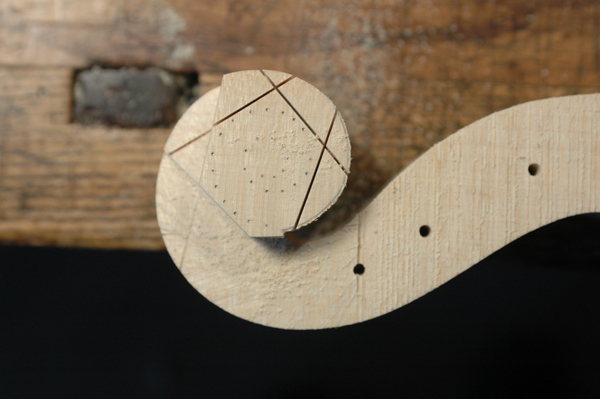 In factory-made instruments, scrolls are often carved in large numbers by specialist craftsmen and then sent to the workshops which have commissioned these parts to be further processed there. Nowadays CNC milling is widely used in industrial violin making. 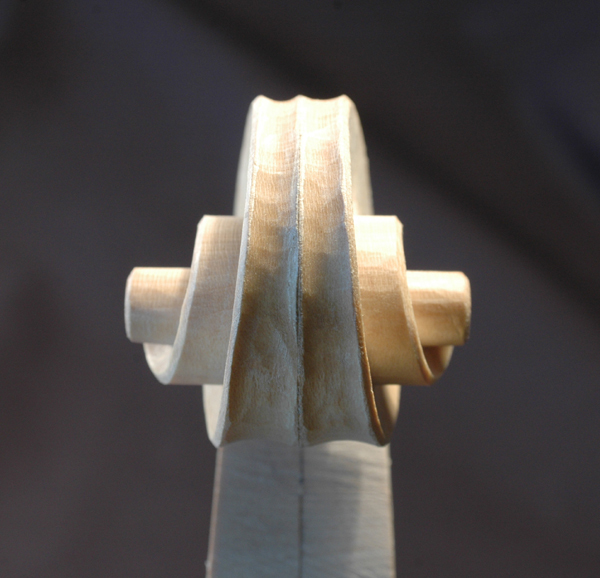 The little photo gallery on this page was provided courtesy of master luthier Jean Severin in Weimar and illustrates the process of crafting a scroll.